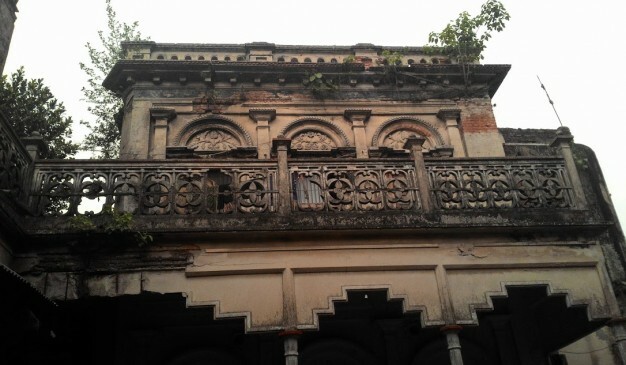 Mondol Bari is about 300 years old house, Closed to Pulghata bridge & Dao Bari, Abdullapur, Tongibari. From Muktarpur Bus stop of Munshiganj, there are a couple of ways to move toward Mondol Bari at Abdullahpur village of Tongibari Upazila. It’s almost 7km south-west from the bridge. You may ride on a Rickshaw or Auto-rickshaw to reach there. 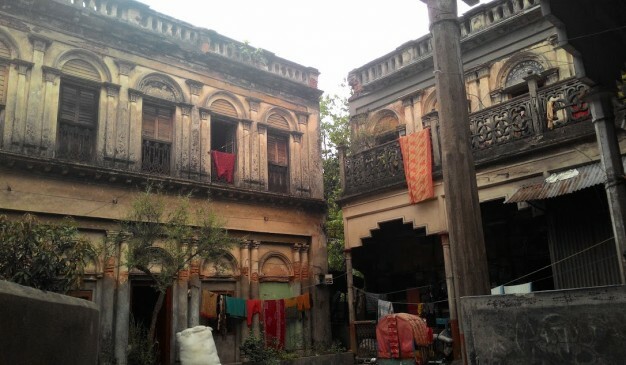 Enjoy the sight seeing while moving toward this landlord house. Observe the way of living in a very ordinary village. Observe the architectural feature of this house. Compare the differences with other old houses in this village. 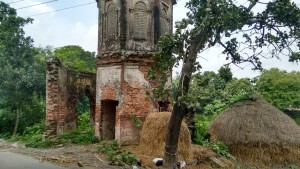 Radha Krishna and Shiva Kali Temple is a Hindu religious Architecture situated in Munshiganj Sadar, which is very near to destruction.About 100 years old (now rebuilt) Radha-Krishna Temple and the other one is about 190 years old (locally informed) Shiva temple at Atpara, Sukhbaspur, Munshiganj Sadar Upazila. Adjacent to this temple there are two more temples which appear to have been erected recently. 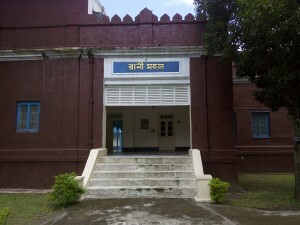 It is a 'Pancha ratna' temple resting on a square sanctum. 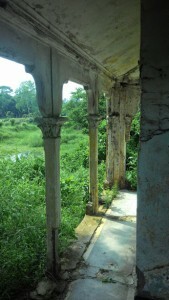 Its south-east corner ratna along with large portion of the body is missing. The four turrets are set on the roof top corners while the large fifth central sikhara rises above those. 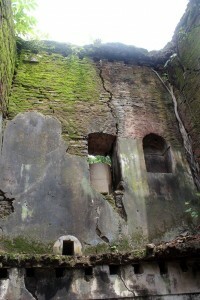 The wall of the temple is 63cm thick. The temple has sharply curved cornices and an arched shape entrance on the south but its lower portion is in a dilapidated condition. 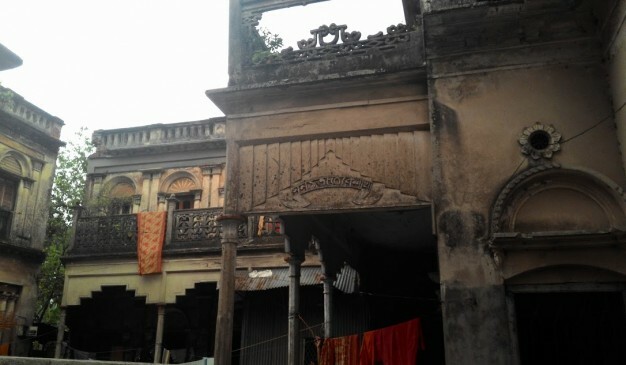 The char-Chala central ratna rests upon its rectangular base which has an arched entrance and panel decoration. The south and other sides are relieved with imitation doorway design and paneled bands. The central tapering tower rises above and terminates in an iron shike. 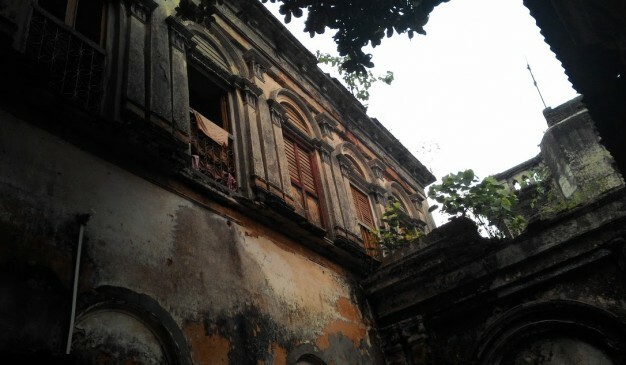 The four miniature corner turrets are similar to the central one and have four openings each.This variety is the most popular type of temples that flourished in Bengal in the 19th century AD. 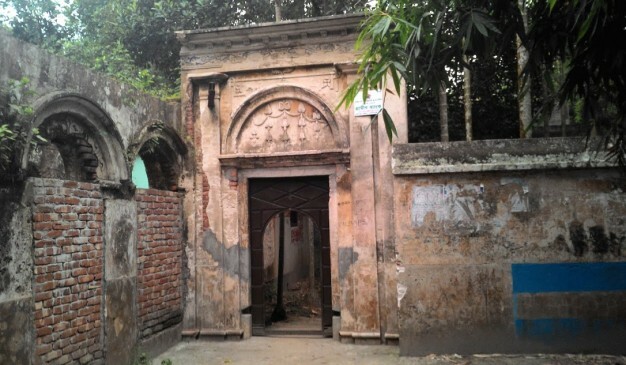 Dayarampur Rajbari (দয়ারামপুর রাজবাড়ি) is located in Bagatipara Upazila, inside of the Qadirabad Cantonment under the administration of Bangladesh Army. After taking the oath of the Zamindari, Pramadanath (প্রমদানাথ) Roy (1873-1925), the elder son of then Dighapatia King Promothonath (প্রমথনাথ) Roy (1849-1883), established the Junior Raj Dayarampur Estate in a place named Nondikuza (নন্দীকুজা) on the bank of river Boral and built this Rajbari for his three younger brothers. They are Kumar Bosontokumar Roy (1874-1925), Kumar Sharatkumar Roy (1876-1946) and Kumar Hemendrakumar Roy (1877-1943). 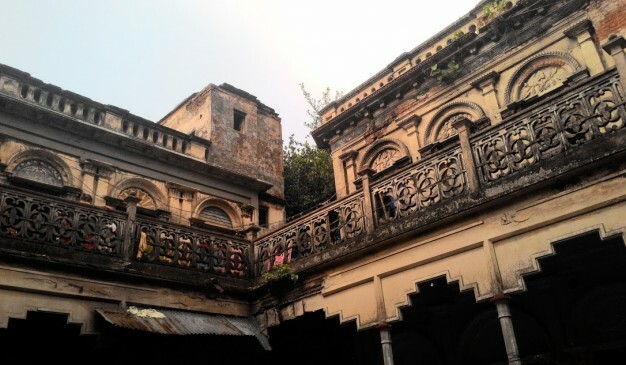 This place was named after Dayaram (দয়ারাম) Roy (1680-1760), the great efficient Dewan of Queen Bhabani (1716-1795) of Natore and the establisher of Dighapatia Royal Family. 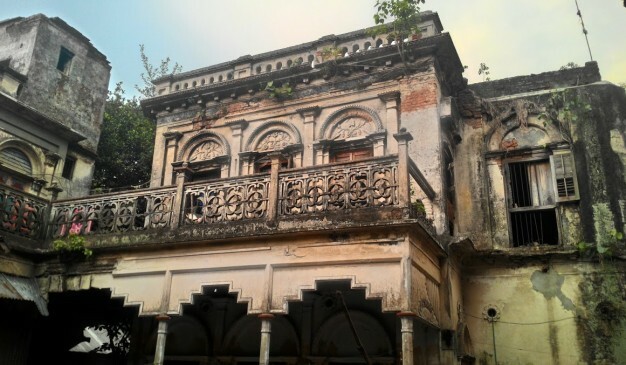 After the death of Kumar Bosontokumar Roy, Kumar Sharatkumar Roy took the responsibility of the whole Dayarampur Estate and stayed this palace till death. After the eradication of Zamindar dominion, they went to India.